There are 5 posts tagged helping. What was the need for Pick a Fight? As many of you know, I am working on my latest initiative, which we have named “Pick a Fight“. The aim is to become a one stop destination to connect anyone who is fighting for a cause and looking for help with anyone who is willing to contribute in terms of money, time or resources. But why? Why have we started this? What was the need for such an initiative? In this article I will dwell on this question in detail. Today, as we live in a 21st century India which is economically progressing at a brisk pace, the question we need to ask ourselves is, “Do we care about our fellow countrymen who have been deprived of this growth?”, “Does it hurt us when we see news of crime against women and elderly?”, “Do we care about our society in the same way as we care about our family?” You might answer yes or no to these questions, but nobody can deny the fact that real (inclusive) and sustainable growth cannot happen if there is no social and economic equality and a large number of our people are still hungry and unemployed. A society cannot be called prosperous unless it takes good care of its weak and underprivileged populace. I have always been proud of how much we Indians care for our family members, how much we sacrifice and give for the happiness of our family. But outside of family, our giving is very limited. Being very religious people, most of our giving outside our family is confined to religion. But unfortunately, all that has not made its way to the needy and for development purposes. We give money and gold in huge amounts to Gods and temples, but surprisingly, we don’t give for the values and teachings that these Gods stand for. Pick a Fight aims to create giving as a culture to promote values and ideals preached in all major religions. We need to see giving as an investment in social change rather than just an outgo of time and money. Giving for social change is like an investment which will come back to benefit us and our future generations. It is not for someone else’s benefit, it is for everybody’s, including ours, benefit. With Pick A Fight, we aim to provide options for people willing to give so that they are aware of the difference and social impact they are making. Giving can take two forms. One option is giving for charity, like feeding a hungry person or giving medicines to those who can’t afford them. Another form of giving is to give for a development process, like for an employment program or for education, which enables the receiver to empower him/herself and improve his/her living standards so that he/she doesn’t need the donor from the next time. A perfect proverb to highlight this point is – “Give a man a fish and you feed him for a day. Teach a man to fish and you feed him for a lifetime”. We need to move our giving to the second form which builds long term sustainable growth for the recipient. India has over 3 million NGOs working on a myriad of issues. But there is no extensive repository or listing directory available for donors to search based on their state, area of interest, etc. (There are few like NGOPost, GiveIndia, but they are limited in their operations and reach) We intend to fill that gap with Pick a Fight as we grow. Apart from that, a common platform can also be used for communication between different stakeholders. NGOs can share their best practices from different causes they are working on, and people can share stories of hope and courage to encourage and inspire others. Sharing resources and knowledge on a common platform will be instrumental in shaping the future of India. We are the privileged section of the population to grow up in the last 20 years when India has seen economic progress. We are also the ones who have been directly benefited by this growth and the reforms after 1991 have made a considerable impact in our lifestyles. But there is still a large part of our population who have missed it. It is our responsibility to take the decisive steps required to make them a part of this growth so that they also contribute to the economy for the next phase of growth. So this was the reasoning behind starting Pick a Fight. After all, we export our software all over the word and are known for it. It is time we use our software and technical skills to help our own people and country. And Pick a Fight is still in its infancy, we would need a lot of support from all parts of the country to make it a success. We would also need a lot more initiatives by privileged people like me and you to ignite the next wave of growth and send a ripple of hope across the nation. If we decide to pick a fight!! Want to make them happy? Their dreams we can enhance! Let us all pick a fight!! Are you going to live it fully? We have a lot on our menu!! Big or small, but pick a fight!! Light the world with brilliance! But don’t wait for tomorrow! This is our chance to pick a fight!! If not me and you, then who? Which is sweet and not bitter! Now is the time to pick a fight!! P.S. 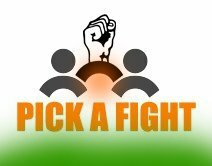 – Visit http://www.pickafight.in for more details..
Volunteering, What It Can Do For You? Volunteering can help us learn more skills and makes us aware of our hidden skills. We can help organize a fundraising event, do an awareness event, or teach students in a school. By doing this we can improve our goal setting, planning or budgeting skills. It also helps us to improve our decision making skills and contribute to personal change by affecting our beliefs about day to day behavior of people. If you always had a hobby and you wanted to know if you should pursue it, you can volunteer with your skills to see for yourself whether you enjoy doing it or not, or where you stand in that skill. For example, taking initiatives like ‘No Waste‘ and ‘Dandi March‘ has certainly made a huge difference to my people management and leadership skills. When we volunteer, we give our time and skills generously by choice. There is no anxiety and stress as we have made the decision all by ourself. Therefore, volunteering gives us the highest level of accomplishment and a sense of fulfillment. Whenever I have helped others, I have always felt joy and I think it is the same with all human beings. Even after working on something physically stressful while volunteering, people always feel stress-free, relaxed and more alive after doing it. And irrespective of the outcome, the knowledge of contributing to a good cause is always rewarding. In our busy day to day lives, volunteering can help us create some stability in our lives. The confidence and experience gained from volunteering can be helpful in seeing workplace issues in a different perspective. We discover new traits of our personality and can reach for new levels of performance at the workplace too. For me, meeting people from different age groups and different professions has given me the ability to put my world in perspective with so much other stuff happening which I was totally unaware of earlier. It has also helped me improve my social and interpersonal skills. Volunteering can help anybody get out of the ‘rat race’ and create a balance in their lives. When you volunteer, you will meet new people from different walks and segments of the society. These contacts can be valuable in establishing business contacts or for seeking employment in the future. Meeting people and making new friends increase the feeling of relatedness with the community, and is rewarding intrinsically. People and societies depend on each other for survival but commercialism and consumerism have seen people getting more and more individualistic. What better way to connect and give something back to your community than volunteering. “A candle loses nothing by lighting another” is a popular quote by James Keller. 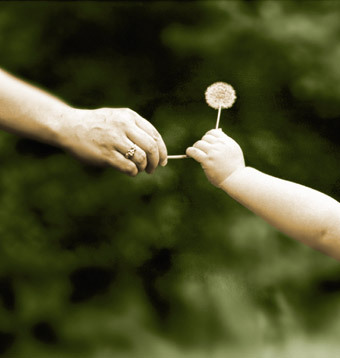 We can not give something (out of free will) without getting something in return. 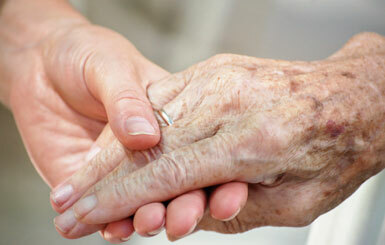 When we give our time and skills to another, it is like lighting a candle. We don’t lose anything, but gain more light (knowledge). Volunteering always leaves us richer in spirit, happiness, skills and takes away your problems, stress and anxiety. If you have not spend time volunteering till now, do so. It is certainly one of the things you must experience sooner than later. For volunteering opportunities, see this initiative (Pick A Fight) I am taking with a few of my friends. Today, we are living in a world full of joy and sorrows. While, at one end, we are making new progress with every passing day with breakthroughs in science and technology, we are still struggling from grave problems like poverty, corruption, child abuse, etc. All of us are fighting our own battle. A fight for survival, to earn more money, to ensure a better future for our family, and so on. Many individuals and organizations are also fighting for the greater good and issues which affect all of us as a society. 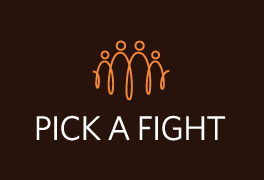 Pick a Fight is a platform to connect those who are fighting for a cause and looking for help with people who are willing to help. A fight could be an NGO fighting for women empowerment, a company working towards green drives like sapling planting, an individual taking an initiative in his locality, apartment, etc or a group of people (RWA, friends) who have come together to fight for some cause. If you want to help and stand for a cause, Pick a Fight is the place to be. We aspire to have all the information of different fights people are fighting for. It will be the one stop destination to seek help and offer help. Help could be in the form of giving your time to volunteer, giving away resources like old clothes or books, or donating money towards a cause. You can find Pick A Fight on Facebook and Twitter. Like / Follow these pages to stay updated about our activities. Our website is all set for a launch on 15 May. We all are human beings, and we do make mistakes. As important it is to accept our own mistakes, it is also important to accept others mistakes too. Anybody who does not make a mistake does not exist at all. So it is only wise to see other’s mistakes as just natural and move on with life. It has made my life much more joyful and easy whenever I have not passed my judgement on someone due to a past mistake. And it has helped whenever I treat a person positively irrespective of past experiences. Do to others what you expect them to do with you! Before trying to manage others or to make a difference in the world, it is very important that we are able to manage ourselves. Whether deciding how much (and what) to eat, how much to party, or when to get up in the morning are all acts of self-discipline. If you want to get up early in the morning, you can’t delay sleeping in the night. It is as simple as that. It just boils down to resisting the temptation of that late night show on TV, or a few drinks with friends which will run late into the night. No doubt socialising with friends is important, but sometimes you need to learn to say “NO” (which is not easy, believe me) to focus on other important things which you have decided. Either you don’t decide to do a task (like morning exercise), but if you do decide, then self-discipline decides whether you do it or not. Putting your thoughts to pen and paper (or keyboard and laptop) has helped me a lot. We all are social creatures, and discuss about sports, politics, religion, etc whenever we meet or talk. By putting my thoughts / views in writing, I really know what my thoughts are, and others can also come up and comment / participate in the discussion, regardless of geographical limitations. Apart from this, my writing skills has improved, and now I have new dream. A Dream of Writing a Book someday. Starting a business of your own can help see the world as it is, free from the illusions which we don’t know (or choose to ignore) in our lives. In my experience of over 2.5 years of running SaleRaja, which were not very successful in terms of revenues and profits, but the learnings have been immense. It has made me even more resolved to come back to entrepreneurship, but now better prepared. Anyways, I only have one life and I don’t take it too seriously. I don’t want to save anything for my next life and want to experience everything in this life itself!! So, anybody looking for fun and adventure, I would surely recommend starting a business of your own, at least once in your lifetime. For those who don’t know, I know a little bit of French. I learned it for 18 months at the L’AF Delhi, and totally by accident. But I got more than I expected. Interacting with people from different backgrounds made my outlook towards life much more mature. There were businessmen, students, police officers, housewives and professionals in my batch, all learning about French and France. And learning a language is a channel to discover new worlds and improve your life skills. Moreover, learning a new language is always a challenge, and challenges and I go together. Having started reading books regularly only in Jan 2010 (after college), I can say it is changing my views and thoughts on a lot of things. I would like to put an hour of reading daily an activity as important it is to exercise daily. Reading a book (I mostly read self-help, autobiographies, and business books) is like viewing a life from somebody else’s eyes. It gives you a perspective about life and people from another person’s point of view. I am going to continue with this habit forever, and in some 3-4 years, I am going to have my own library with a good collection of books. Most of the people live their life according to what is the norm, what everybody else is doing. It is assumed that you need to follow the so called rules, or “conventions” to get what you desire, be it your job, family or whatever it you may be wanting. But I beg to differ. Who says that I have to do what everybody else does? Intact, if I know the outcome of a task I am doing, what is the fun in doing it. I only have one life and I don’t want to live it the way other people want me to. I might encounter some failures or setbacks along the way, but that be it. The fun of not knowing where you are going only can get you what you normally can’t get. That is why I studied computers too much during my school days that other subjects suffered. That is why I started SaleRaja… And read “The Fountainhead” by Ayn Ryand if you need more. Helping other people, either those for whom I am responsible for, or somebody a total stranger, has always given me so much satisfaction that has never been matched by doing something for myself. I totally experienced a different kind of satisfaction (like I have never experienced before) when I was leading the 99acres team in Noida. It was a responsibility which I didn’t took seriously when I started, but it showed me shades of my character even I wasn’t aware of. Helping / Mentoring a new bunch of engineers right out of college changed me as a professional, and as a human being. I feel more connected with myself after that experience. I don’t think if there is a better feeling than knowing that somebody is smiling or sleeping peacefully because of you. “The reason people find it so hard to be happy is because they always see the past better than it was, the present worse than it is, and the future less resolved than it will be.” Most people are either worried about their past or the future, missing the present in the process. It is important to understand that we can’t change anything what has happened in the past. Neither can we second guess the future. At best, we can make a plan and work for the best outcome. But if it does not, it is wise to learn the lessons from failures and move on. Love life. Love yourself. Living for today while having fun and making everybody involved in your life happier is what should be our goal for the day. Watch the movie “The Groundhog Day” to realize how we should live our lives. We all have only 24 hours in a day, and it is important to make them count.